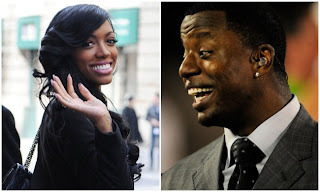 TMZ reports that the retired NFL player claims Porsha has been very un pastor-like by partying all hours of the night–so he locked her out. Kordell also claims that she hasn’t been living up to her trophy wife title and has been neglecting HIS son. But Kordell seems to believe that the real problem is that Porsha leaves their home and doesn’t return for days. And when she does, he says it’s in the wee hours of the morning, and she smells like alcohol. Stress will lead you to the bottle, but I am not sure if I believe Kordell. All of this comes after Porsha fired the first shot by filing a motion that claimed Kordell was locking her out of the house–and bringing another woman into their home. The same woman Porsha believes he bought a house for? Kordell says she’s the nanny!